April 21, 2010. Purvis Young, the soul of the indigenous Miami art scene, was generally labeled an "outsider" or "folk" artist, but he was making it happen in Overtown and Liberty City decades before "Wynwood" was able to pronounce the words "Art Basel Miami Beach". 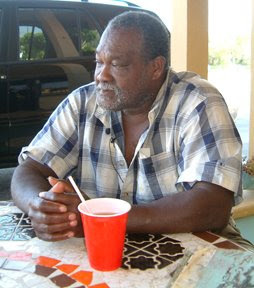 He died yesterday at the age of 67 at Jackson Memorial Hospital after a long battle with diabetes.